London Region UCU has called a lobby of the NEC meeting on Friday from 10:15 to 11 at UCU HQ in Carlow Street, Mornington Crescent, Camden. All branches are welcome to send delegates. UCU’s National Executive Committee (NEC) meets for the first time since Congress this Friday. We lost two days of Congress – effectively the whole of the union’s democratic policy-setting opportunity for an entire year – as a result of manoeuvres by sections of the union leadership to avoid criticism for their handling of the HE pension dispute. The furore has raised serious questions among many members regarding the accountability and transparency of our union leadership. At the #UCUTransformed meeting called by London Region UCU on Saturday 9 June, union reps from across the country met to discuss the crisis. 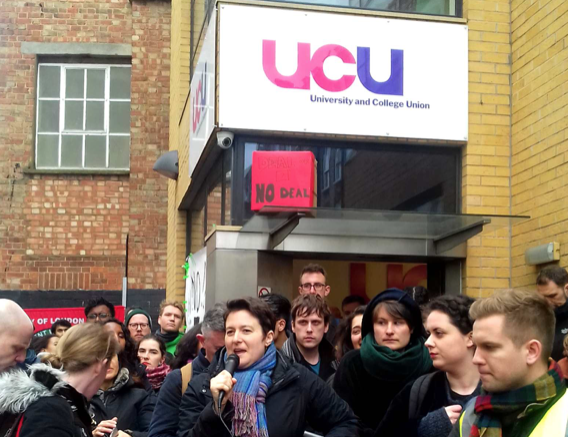 One of the conclusions of that meeting was that UCU needs to resolve this issue promptly and firmly by confirming that all elected representatives, including the General Secretary, are subject to criticism and recall by motions of censure and no confidence. 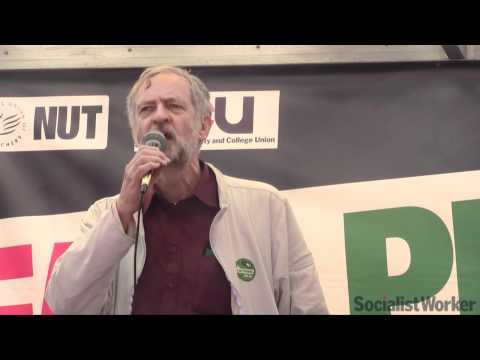 The NEC has to take control of the situation and defend union democracy. NEC members committed to a democratic member-led union will be meeting outside at that time for an open air meeting and colleagues are welcome to join them. Is there any feedback from the NEC meeting? Did the lobby achieve anything?